He is only available to entertain at your event in return for a donation to his Thai registered charity. Send comments directly to Clown Eckie when you wish to have his appearance at your parties or events in Thailand. 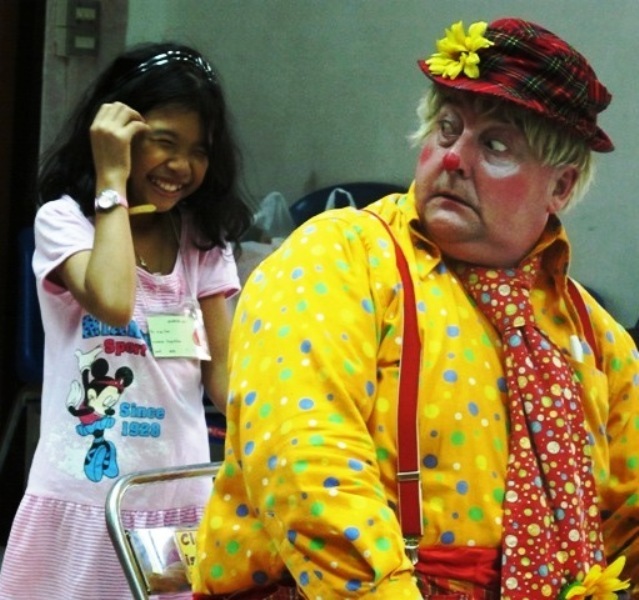 Ask Eckie about any other aspect of his work as a professional family entertainer in Thailand. Clown Eckie Can't always answer the phone. So contact form is best!